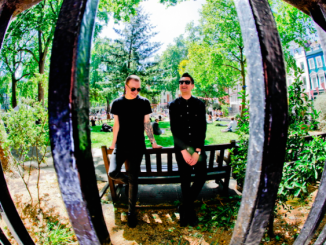 Nottingham duo APRIL TOWERS release their new single ‘No Corruption’ on February 23rd. 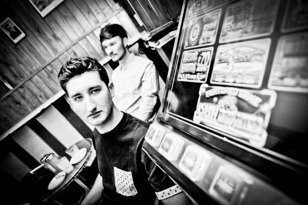 The single follows their hotly received debut release ‘Arcadia’ which received plaudits from The Line Of Best Fit and Crack In The Road, and was the only unsigned entry in Drowned In Sound’s Top 40 of 2014. 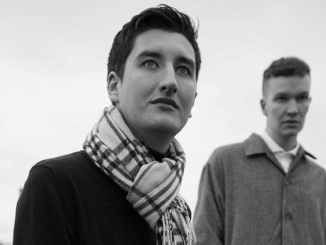 Despite having only formed in August 2013, Alex Noble (vocals, guitars & keyboards) and Charlie Burley (production, samples, guitars & keyboards) have already carved out a presence on the nation’s airwaves – receiving tremendous support from BBC Introducing’s Dean Jackson, as well as plays on Radio 1 from both Huw Stephens and Fearne Cotton. The band will also release former single ‘Arcadia’ with ‘No Corruption’ as a very limited double A side 12″ backed with both B sides in March. They also recently remixed the new Champs single ‘Desire’, set for release on PIAS this month. Armed with influences such as Jon Hopkins, Aphex Twin, Hot Chip, LCD Soundsystem and Radiohead and a pop sensibility that recalls the likes of Pet Shop Boys, New Order, Orchestral Manoeuvres In The Dark and Cut Copy. They’ve even had a beer named after them! The band teamed up with the legendary Castle Rock Brewery to create the limited edition April Towers ‘No Corruption Ale’ which will be available soon. April Towers are set for a storming 2015.